Two biographies of the apostle Paul came out last year with two highly influential and respected interpreters of Paul. One biography is by N. T. Wright, Paul: A Biography, and the other is by Douglas Campbell, Paul: An Apostle’s Journey. Campbell’s complete chronological picture is filled out in his 2014 Framing Paul: an Epistolary Biography. 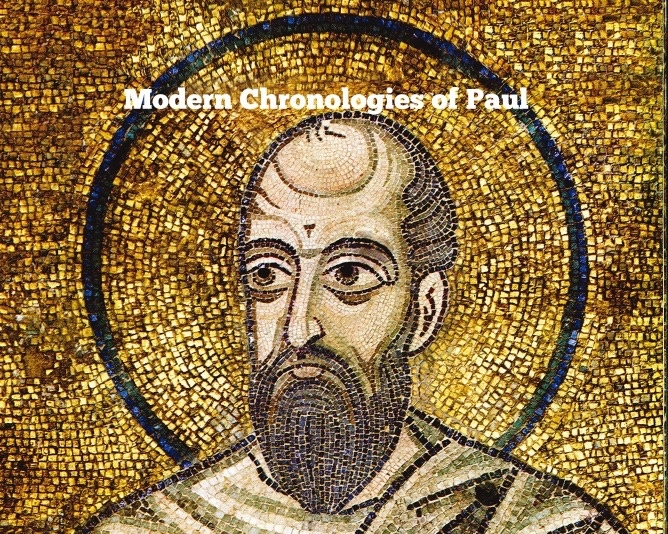 Given this recent work, I was interested to see any new thoughts on Paul’s chronology. 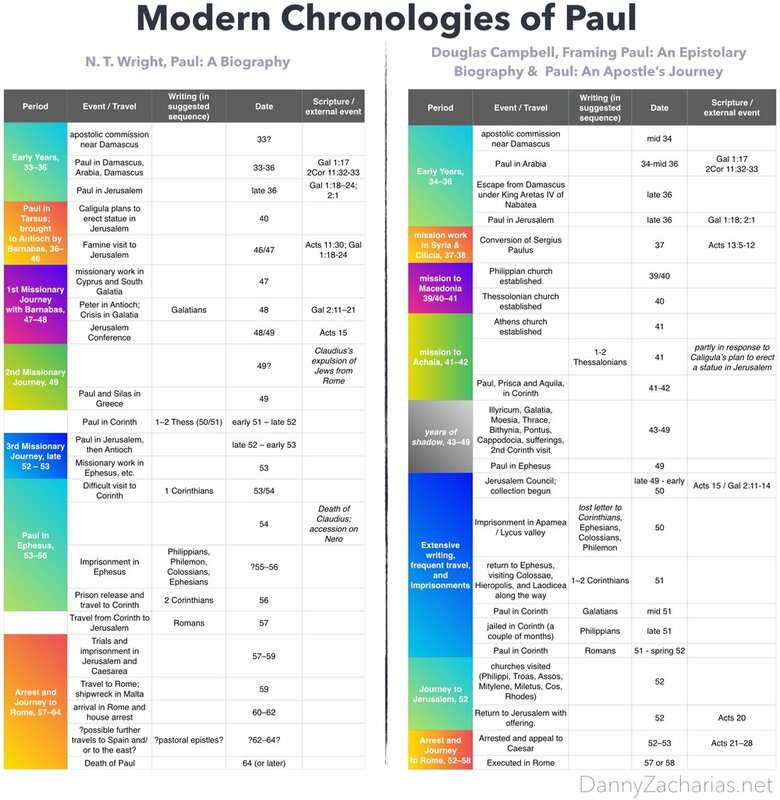 In comparing Wright’s chronology to the chronology of Paul presented in the Dictionary of Paul and His Letters, Wright follows a fairly standard chronology for Paul. Campbell’s chronology, though, is quite different. The main difference is that Campbell’s chronology is based on Paul’s epistles, with the information from Acts playing second fiddle. In addition to my table below, this external blog post outlines Campbell’s chronology.